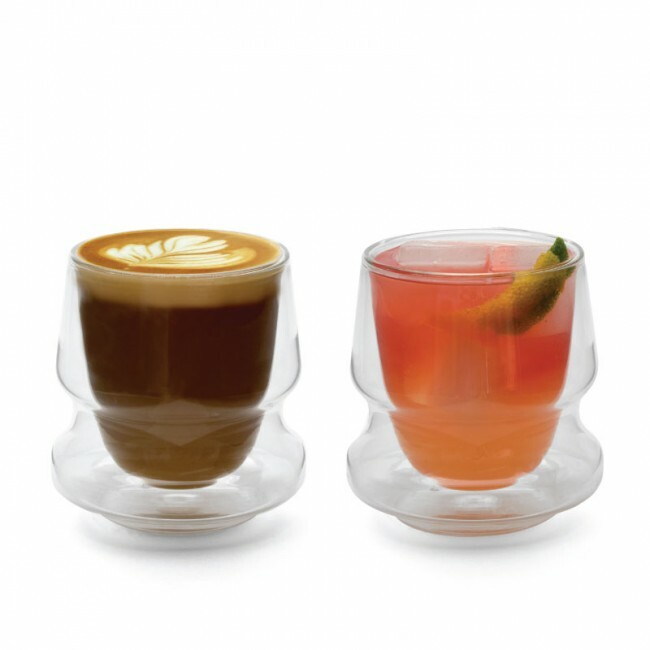 Elegant by design and sturdy by nature, notNeutral's CICLONE double walled tumblers are specifically constructed to fit comfortably in your hand, all while protecting your delicate digits from your hot or cold beverage. 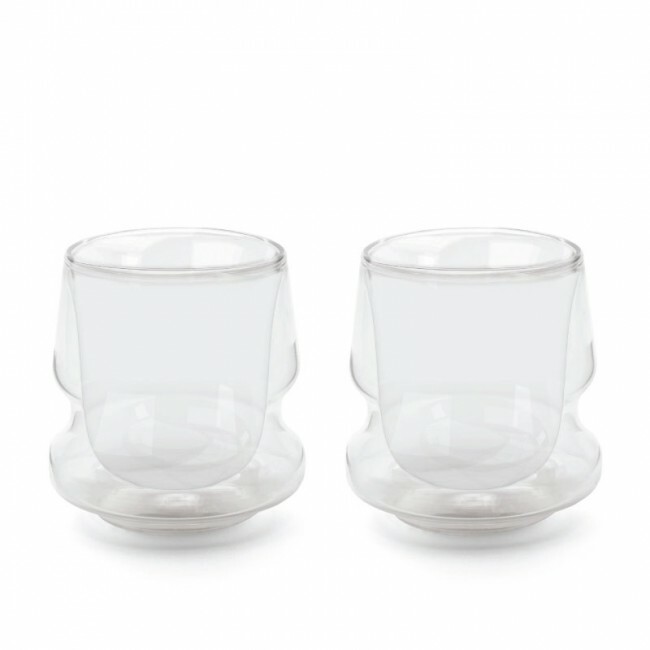 Each tumbler is made of durable hand-blown borosilicate glass that is dishwasher safe. 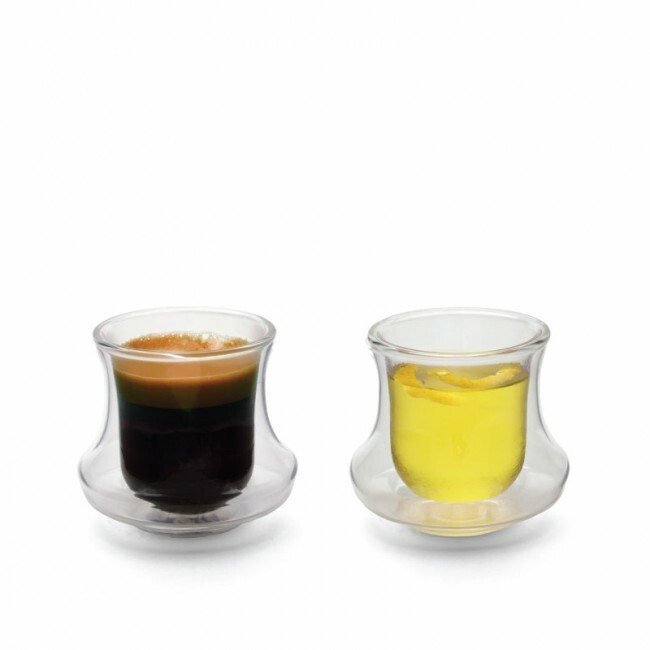 Brew your favorite espresso in the 2.5 ounce demitasse or froth up a latte in the 6 ounce tumbler. 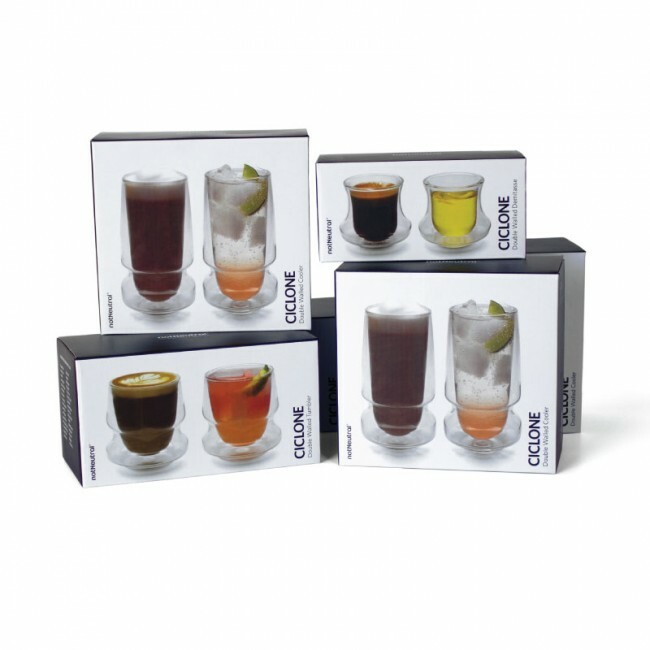 Don't forget to reserve the 10 ounce cooler for those days when iced coffee is a must! Durable Glass - Durable glass? How can that be? 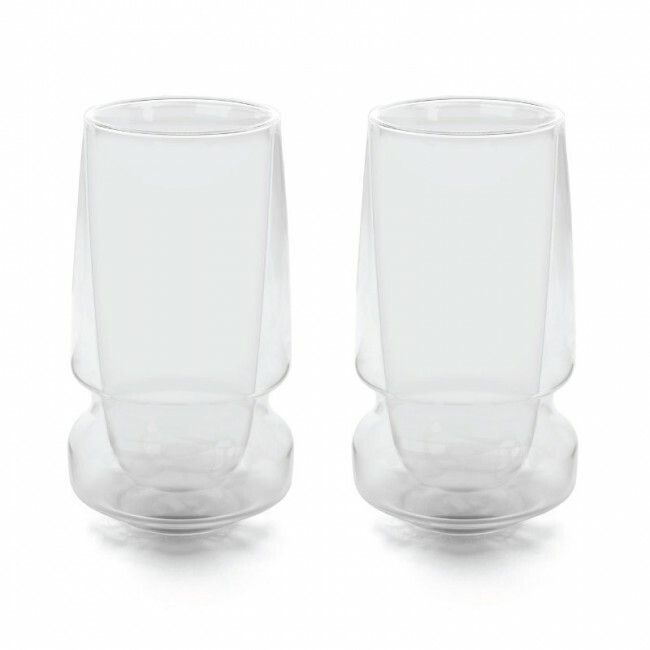 notNeutral's CICLONE tumblers are made of a lightweight laboratory grade borosilicate glass that is both heat and scratch resistant. Since each piece is handmade, there may be slight variations in height, thickness and weight. 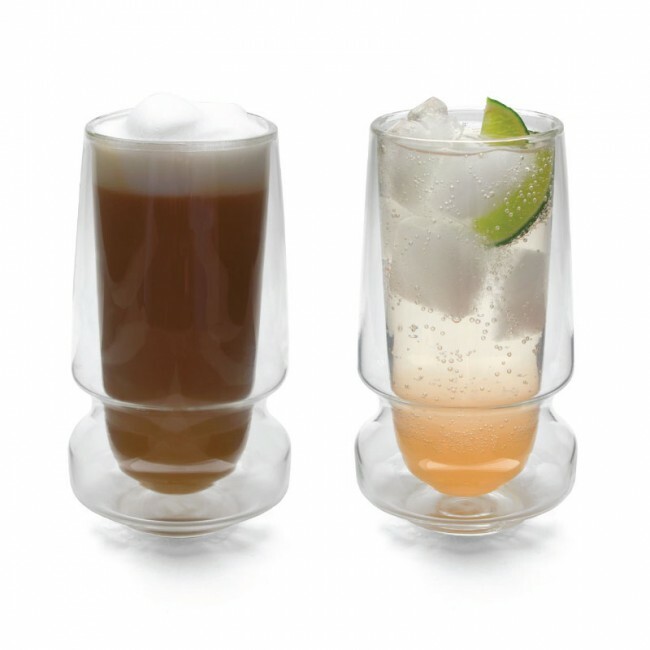 Double Duty - Designed to work well in both commercial and home settings. Easy Use & Care - All tumblers are microwave and dishwasher safe. Each cup's volume measures just below the very top of the cup. These cups can hold the ounces that are indicated, but the liquid will be just below the lip of the cup when filled to capacity.